Surge Protection By MXPOWER — Copier Workshop, Inc.
We've all been there. The long winded speech about, "the power must have caused the problem". With high quality MX Products, you'll never have to worry about your power causing problems with any of your electrical equipment. This amazing advance in active surge protection also puts its users first with an industry leading warranty of up to $25,000.00! Check out our full line off offerings to find the protection solution that's right for you. - Control panel lights indicates that protection is in effect, the ground is properly wired, indicator light if the input voltage is outside the safe limits and indicates if an over-current situation has occurred. - Real-Time load displays combined current use of all connected equipment as well as the voltage. 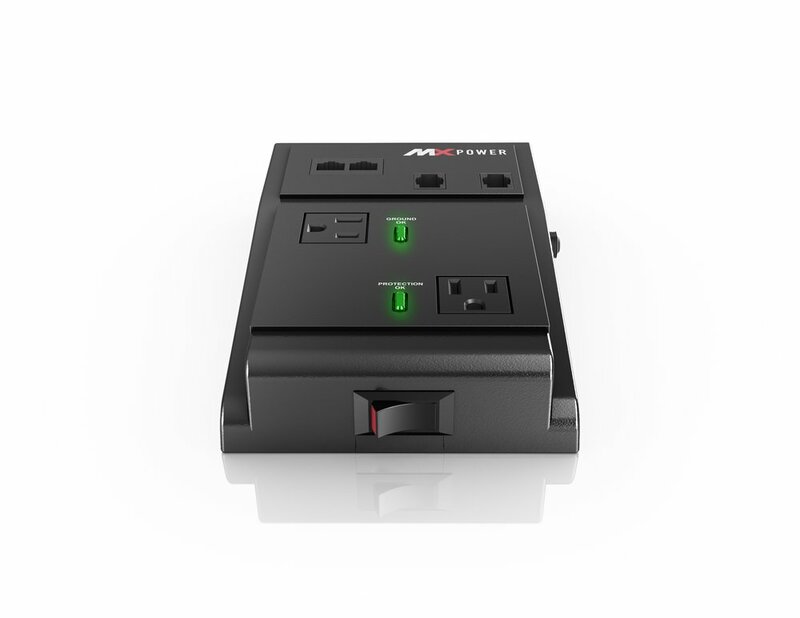 Display switches every 5 seconds and when blinking indicates that it has reached 90% of the surge suppressor limit.